Correct response: What is Manchester by the Sea? Variety reported on this first back when Manchester by the Sea received its nomination. It was Amazon’s first Best Picture nomination. Unlike Netflix, though, even though Amazon will buy films for its digital platform, they will also give their films theatrical releases. It grossed over $77 million in theatres worldwide, per Box Office Mojo. Valentine’s Day is coming soon! 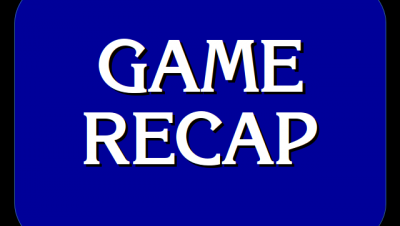 Get something for the favorite Jeopardy! 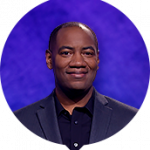 fan in your life from The Jeopardy! Fan Online Store. So, it looks like we’ll be seeing Rebecca again in the future! You can find other instances of contestants being invited back on my “Returning to the Show” page. 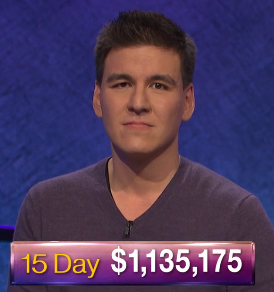 15 Comments on "Today’s Final Jeopardy – January 11, 2018"
That FJ wording threw me off for sure, but I’m also sure I wouldn’t have been able to come up with the correct response even if it had been specified correctly. At least the 1 day jinx is broken, maybe…..Will we see 5,6,….wins in a row by Gilbert? 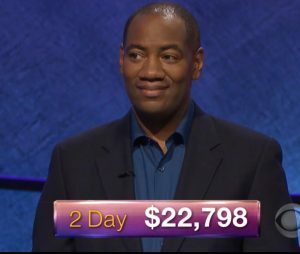 I am even more curious when we will see the first game with all clues played, or maybe just 1 left on the board?Since Gilbert had almost a runaway , had only to wager 401 with no DD left and Rebecca getting FJ wrong at least it did not matter today. If 4 or more clues are left overall then maybe J should take one category out of the J round? I know that would not be right either, but how about taking 2 commercials out and save a minute, or….or….there has to be a solution. Maybe don’t have 5, 6 line clues? There is no denying that the results can and are altered when 4 to 6 clues are left and a DD in DJ to boot.The leader could wager high to make it a runaway, the second placed contestant could go for broke when s/he has 7 K and is 6 K behind..we have seen very high wagers before that turned the game around.So PLEASE J, fix this situation! I know I am not the only viewer who is frustrated, not to mention the players. John, it’s just a temporary blip that happens from time to time. We’ll get back to “normal” soon. Agree with Andy. When you have 13 triple stumpers you’re much more likely to run out of time. Nothing that the staff can control. John you are way too focused on there being clues left on the board. Like I tried saying yesterday, that is now part of the strategy. Of course they’re not going to cut commercials for the sake of 2-3 clues being left. When was this episode originally filmed? I don’t understand why Rebecca is being invited back if she didn’t even furnish a response in final. Because the question as posed had no correct response in the eyes of the judges, and it affected Rebecca’s chances to win (namely, she needed a correct response in order to win), she thus gets invited back. Both contestants should be invited back to make it fair. I disagree completely with this. Julie had no chance of winning the game, Rebecca did. You only get invited back if the error actually cost you a chance at a victory. I agree with Andy – with the wagers each contestant made it would be impossible for Julie to win with any of the eight possible outcomes (now crediting her with the extra thousand for second place when in doubt would be a different story). I guessed Birdman. I need to brush up on all this newfangled technology. If they asked about movies from the 1970s I would have been golden. I, for one, like the fact that a few clues are being left at game’s end. The strategy helps a good player keep control of the board, all the while completely avoiding a tough category for the good player. 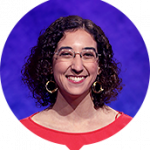 For example, in Double Jeopardy, I would go after Presidents, Art, African Capitals, and Old Movies hoping time will expire before the Rap Music category is reached. Just the way I look at things.